Reports of increased military presence in Moscow have forced Russian officials to comment. The Interior Ministry says the extra personnel have been in the capital for almost a week, boosting security around Russia’s parliamentary vote. 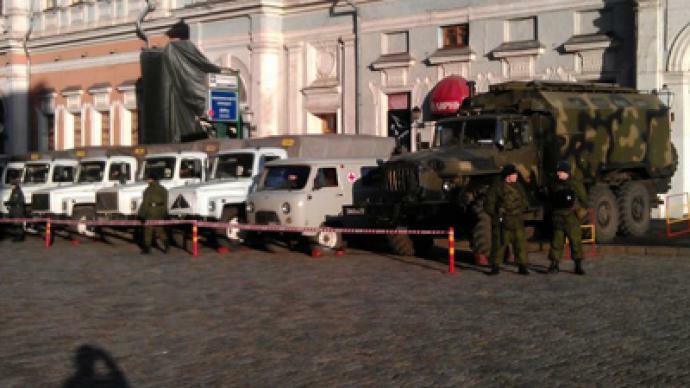 Earlier on Tuesday, Muscovites posted alarming reports in social networks and blogs, saying they had witnessed military convoys entering the city from several directions. This was also reported by several Russian media. Rumors that tanks had entered the city proved to be unfounded. According to police, some 51,000 police officers are deployed in Moscow at the moment to aid police before the final vote count. Among them 2,000 interior troops which are routinely present to reinforce security during mass events such as football matches or rallies. Interior Ministry says new troops are arriving to replace those who have already been active in the capital for days, reports Interfax. "It had been officially announced that during the pre-election period and right up to the final vote, security in Moscow will be tightened," – the ministry’s spokesperson said. “What we are witnessing today is movement associated with the rotation of troops in places of service." 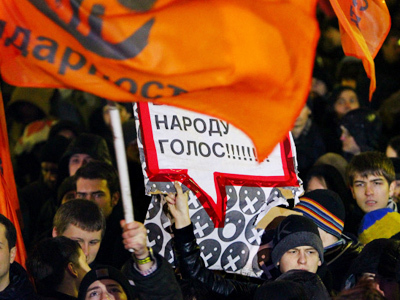 Earlier on Monday, several thousand protesters gathered in the center of Moscow to express their discontent at the result of Sunday’s parliamentary vote. 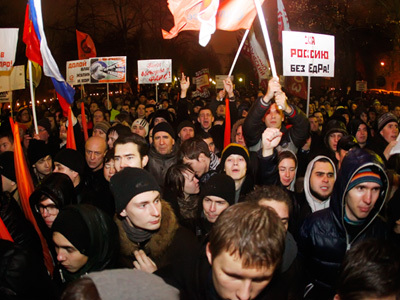 Around 5,000 people came to the rally sanctioned by the Moscow authorities. Police did not intervene until several hundred protesters took to neighboring streets. After the crowd attempted to disrupt traffic, police formed cordons, arresting up to 300 people. They are currently being dealt with by a central Moscow court, some have already received 15-day prison sentences. Meanwhile, hundreds have gathered for an unsanctioned rally in the center of the Russian capital. RT’s Peter Oliver, who is at Triumfalnaya Square, says there is a heavy police presence there, with riot police stationed by every subway. According to the RT crew, hundreds of young people are waving flags and drumming, while police look on. There are no armored vehicles or tanks, as earlier rumors had claimed – but water cannons are on site, in case the rally gets violent.